I can’t tell you how many hours I’ve put into the game, but it’s been one of my favorites from the current gen of consoles (we can argue whether or not it actually looks current gen later). 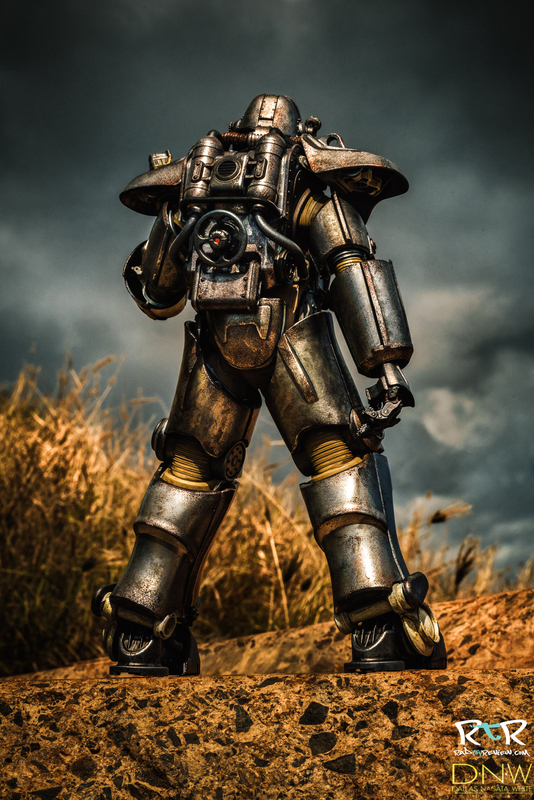 When Threezero popped up a the teaser image for their T-45 power armor figure, I was probably at peek wasteland entrenchment. I flipped out! 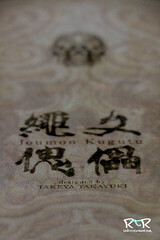 One of my favorite toy companies is coming out with what’s sure to be an awesome figure from one of my favorite games. Since this was a special review for me, I wanted to do something a little different than usual. 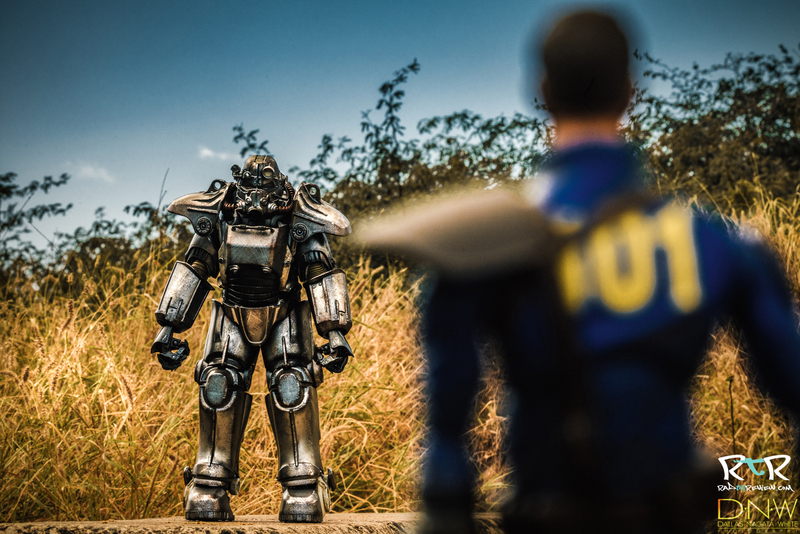 I called up a friend of mine who’s a professional photographer and a Fallout fanatic in her own right, the talented, Dallas Nagata White (click to check out her site!). We’ve done a few things in the past together, most notably the photo shoot for 3A’s Halo Commander Carter review (click to check it out!). 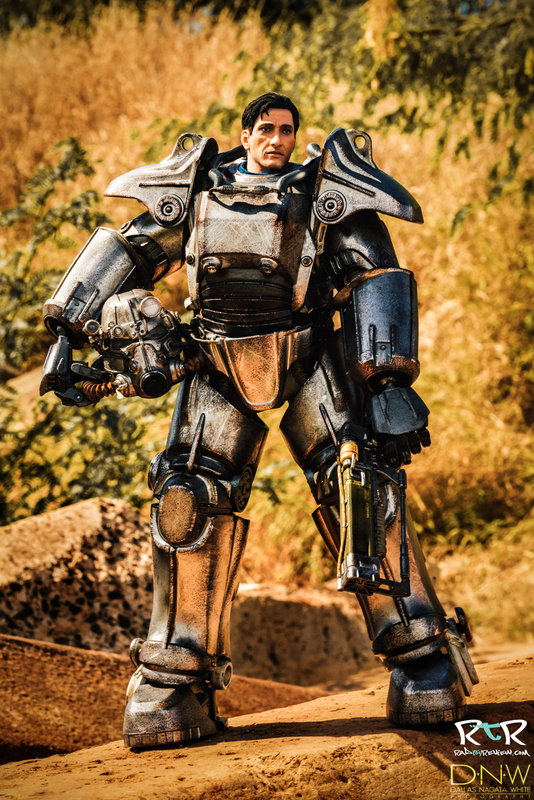 For this shoot, we wanted to find something that fit that wastelander look, something that can be a little difficult to do in tropical Hawaii. Having recently done a Mad Max/Assassins Creed crossover themed cosplay shoot (click to check it out!) Dallas knew just the spot. We headed down to sand island in the south end of Oahu where there’s a surprising amount of rusted old rebarb and giant concrete pipes littering the landscape. All just a few feet from the water and perched on some very unforgiving red sand. In hindsight, I should NOT have worn those white linen embroidered sweatpants. “Juicy”? Mo’ like “Very Dirty”. We spent half the day there under the hot sun snapping some shots, so I hope you like what we came up with! As you go through this review and notice that a few of these photos look prettier than usual, you’ll know why. With that, lets get on with the show! It’s almost my daughter’s nap time and the one thing I can’t do while bouncing on a yoga ball, is write this review. 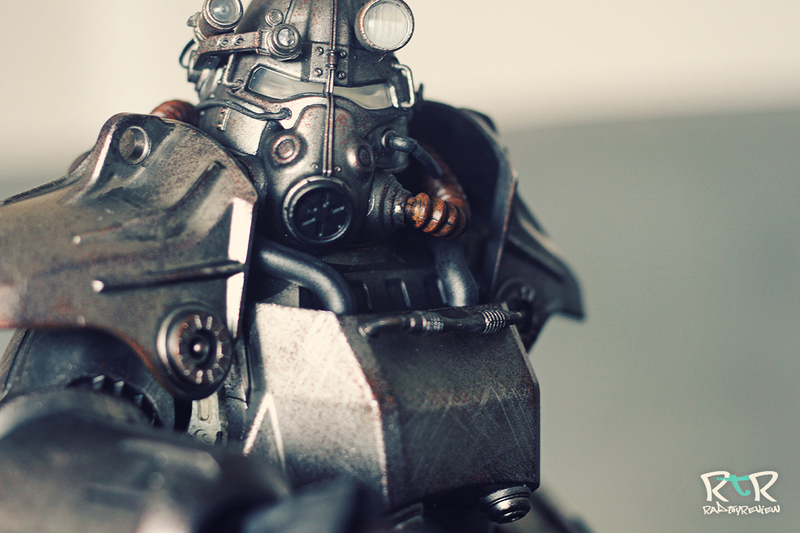 Sit back, grab a Nuka-Cola and enjoy the read. It’s a review sample, so it came wrapped up in a million layers of bubble warp and packing popcorn that I’m STILL picking up. 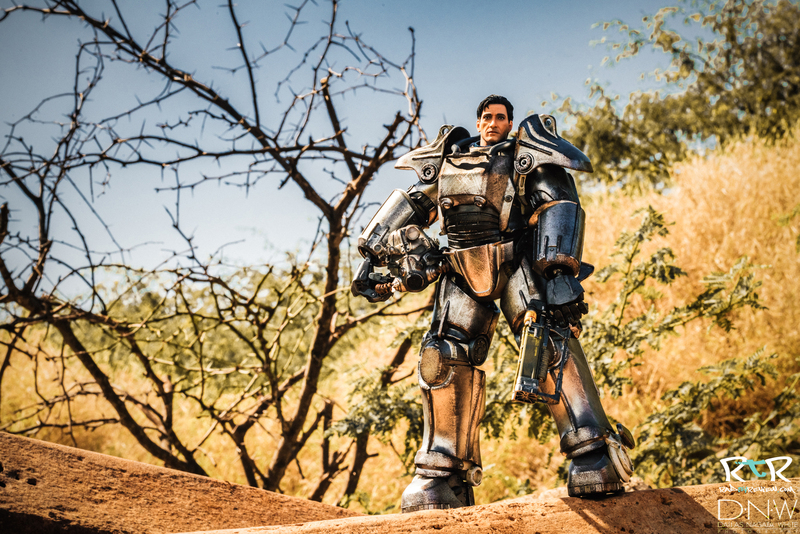 One thing he did come with was two large printouts of instructions on how to remove the armor and install the (not included) batteries. I’m assuming there will be a nice and tidy little instruction booklet when this guy finally ships. Something you’ll probably want to hold on to. If you’re one of those folks who’d rather watch what we think than read it, check out our video preview below. It’s not near as in-depth as the novel waiting below, but I do demonstrate how the armor goes off and on as well as show off a few of the details. Where to start? Well, if you’re here, I assume you know what it is. 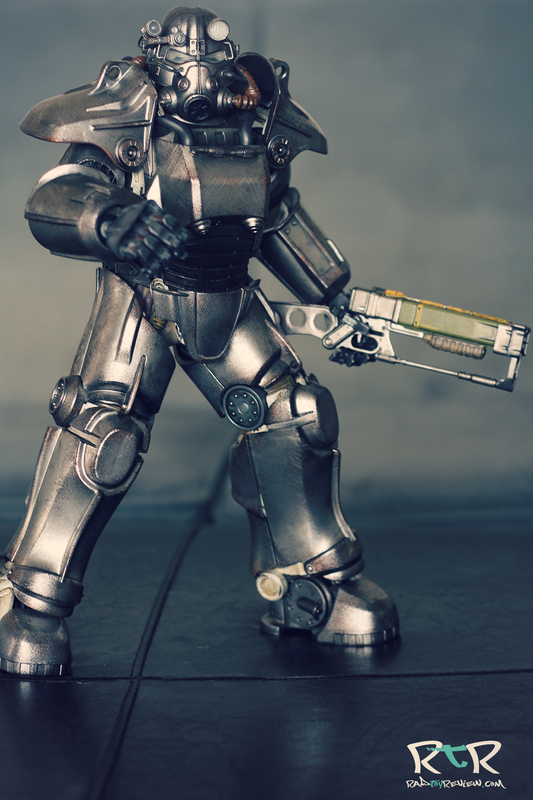 It’s a fully realized, highly accurate, highly articulated T-45 power armor figure! When you first see this guy up close, you will be blown away by how faithful to the source it looks. 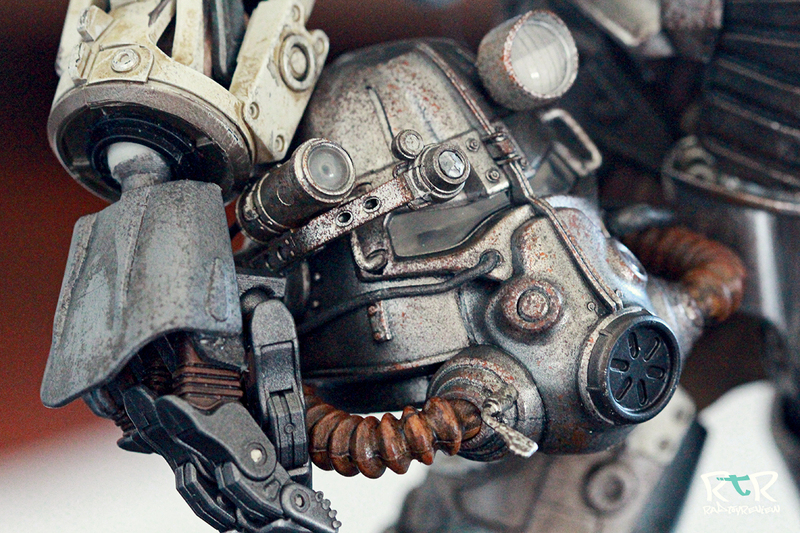 While the T-45 doesn’t have a lot in the way of decals or interesting paints splashed about… ThreeZero was able to give the mostly flat steel-esque surface some fantastic weathering with accents of rust, nicks and scratches. You’ll probably notice that it’s got a nice subdued gloss to it that reflects the environment in a very realistically way. I mean, this is what ThreeZero is good at. Making plastic look like steel. 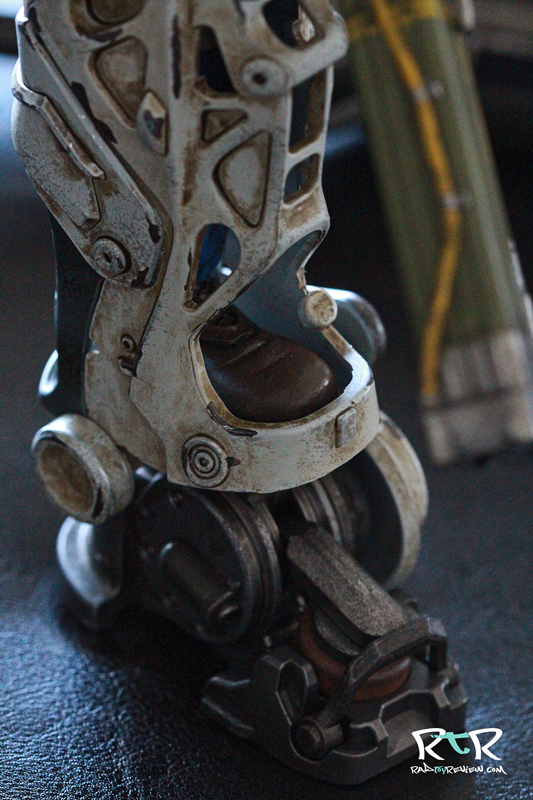 It’s almost a given that the paint and weathering are going to be insanely well done. 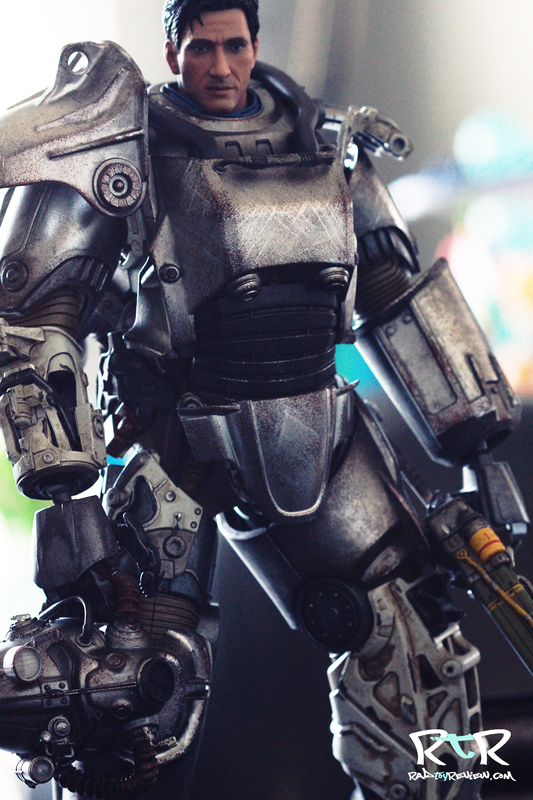 It’s the sort of attention to detail that will make this dude stand out on your shelf… well that and the fact he’s almost 15 inches tall! Probably the toughest decision you’ll have to make display-wise is just what aspect you want to show off the most. The outer armor is super cool, of course… but the armor frame suit hidden underneath has an absolute ton of interesting details that you can’t see when fully armored up. 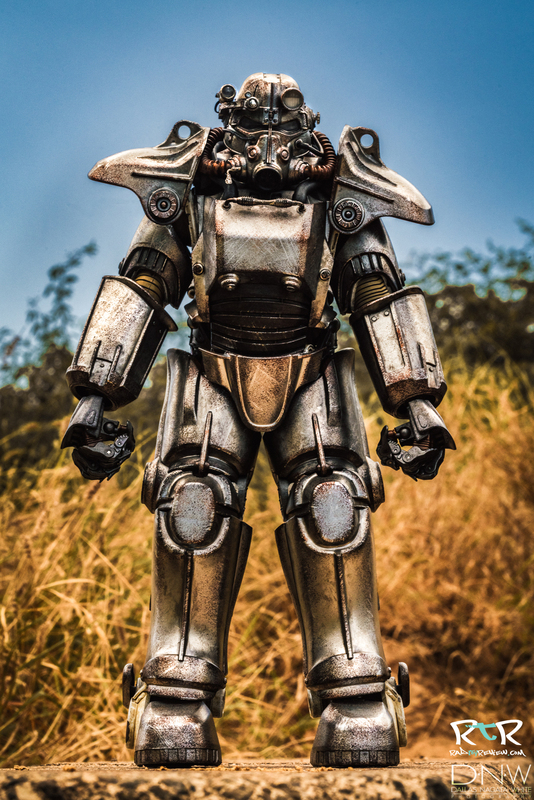 The little bits of the vault suit peeking out the top of his collar, the toes of his shoes, all the sculpted mechanics… it just seems a shame to cover all those details up! I like to try to find a comfy middle ground with various armor pieces “blown off”… it’s what my in-game character generally looks like anyway. 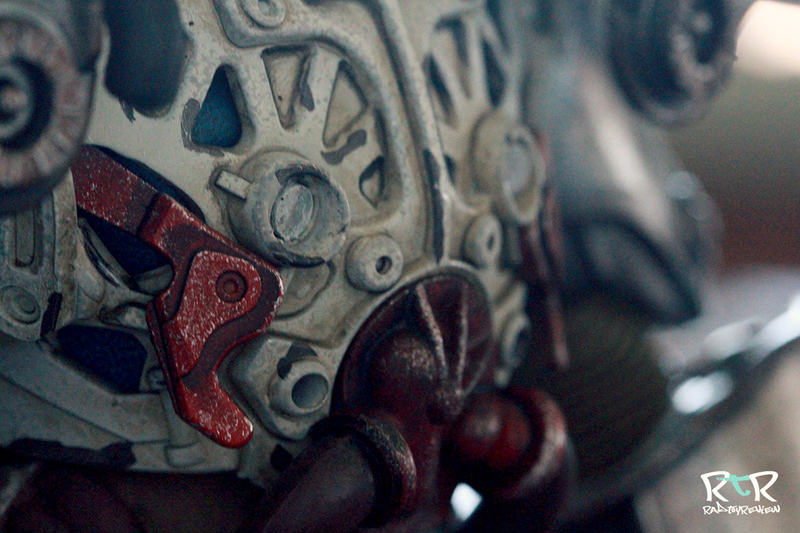 You’ll probably notice that the armor frame is made of a rather diverse mix of materials. From the white hard weathered plastic bits and clothing accents, to the rubber like material around the necessarily flexible abs area. Everything blends together cohesively and believably thanks in large part to the rusty, chipped painted details. The human portrait is pretty darn nice. It’s a dead-on sculpt of the generic male character you start with in the game.. you know, before you go and make him all purty like. 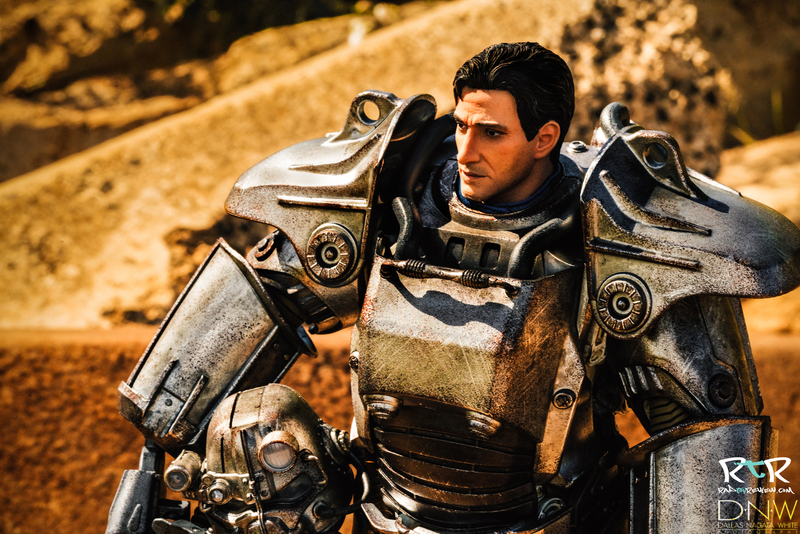 It’d super been cool if they included a female head too, since Bethesda, Fallout 4’s devs went out of their way to make your in-game gender completely up to you. The male and females all look the same with a power suit on as well so, ThreeZero wouldn’t even have had to worry about working up a female body. A missed opportunity? Maybe, but perhaps there’s a chance they’ll bring out a female portrait with a future suit release. This being a sample, I believe what I have is an actual resin cast of the head. Inside of it, there’s white powder from the cast and the neck socket is very roughly cut out. I have absolutely no CLUE if the final figure will be like this or made of rubber but just to be safe, when you get yours, proceed with caution.. I’d hate for you to drop it while messing with the packaging and have it shatter on the floor before you even get a chance to enjoy it. 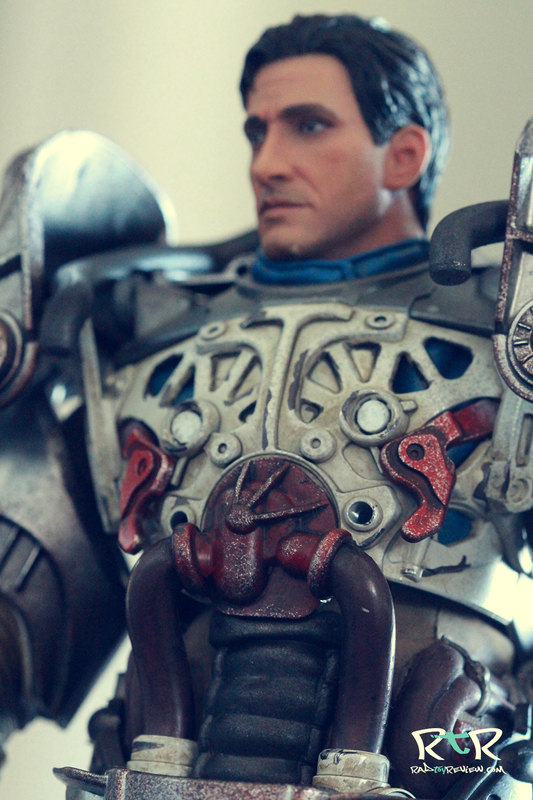 As mentioned, he has some pretty great sculpted and painted details. Five o’ clock shadow, eyes with some nice glint to them, fine hair details… all n all very, solid. 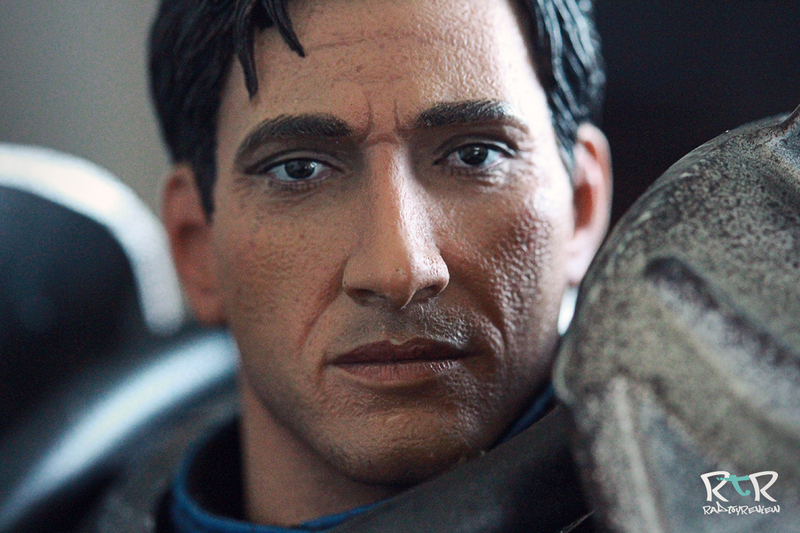 Sure, the expression is a little lacking of, well, expression… and I don’t know if I’d put the pore and skin look on par with some of the finer portraits out of Hot Toys, but there’s nothing here at all I’d complain about. On the articulation end of things, there’s obviously going to be some give and take. Underneath all that hard steel is a highly articulated (some 35 points of articulation) body, but due to all the previously mentioned “hard steel”, you may not be able to take as much advantage of those 35 points as you’d like. Unlike the magic of the video game world where animators and artist can cheat the limitations of real world physics whenever necessary, you and I are stuck with hard, unforgiving pieces of plastic clanking against other hard, unforgiving pieces of plastic. As such, you can only bend his arm so much before it just won’t stay in that position. 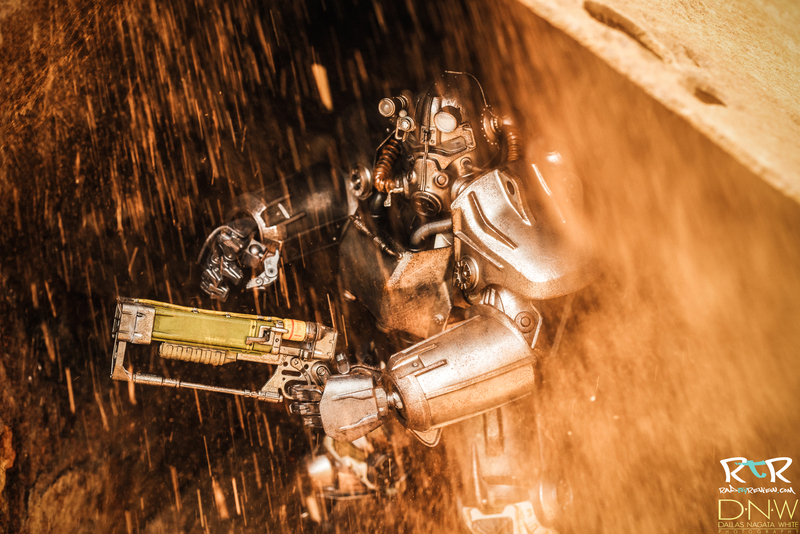 The hips and knees can only bend so much before the suit restricts their movement. It kinda reminds me a little of what it must be like to move around in a full suit of knight armor.. or to be Randy, from The Christmas Story. In short, he’s a clunky guy. You can get a few cool poses out of him, a little more if you take off some of the armor… but don’t go in expecting miracles. If there was one pertaining to articulation that I felt genuine disappointment about, it was in the fingers. While they are individually articulated, a common staple with Threezero figures, they’re all hinge joints with no side to side movement to them. Only the thumb incorporates a ball joint. Since you get no flexibility side to side with the rest of this fingers, it can make getting him to hold the included laser rifle a little difficult… more on that later. 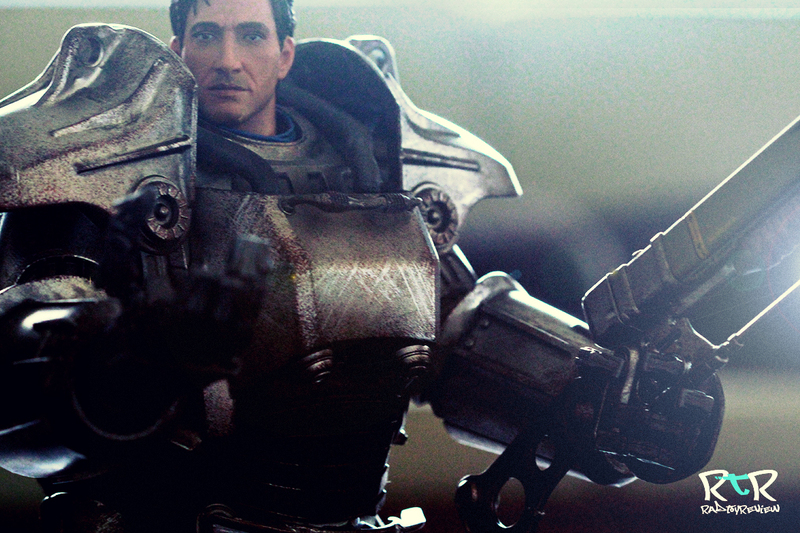 When you first set out to take off the armor, it might seem little daunting given the amount of pieces. However, for the most part, it’s very intuitive in design to remove. Most of the armor either clips into a little groove on the underarmor or simply attaches together. The shoulder pads are held on by magnets that do a great job… at least, they DID until they started falling off constantly towards the end of the shoot. 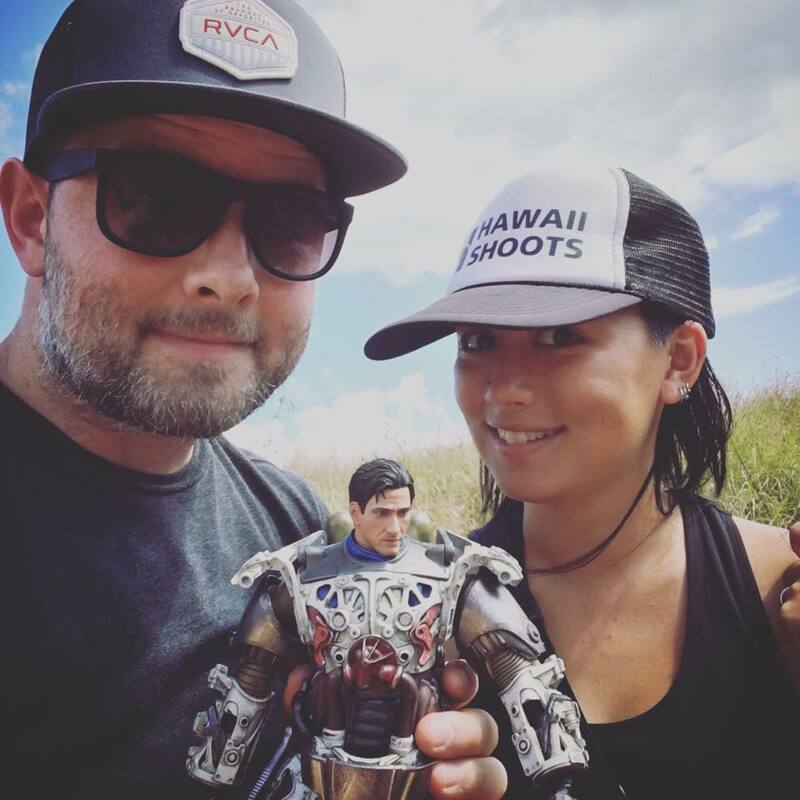 Unbeknownst to me, the magnet holding the shoulder piece on had come loose under the hot and humid Hawaiian sun. No worries, it was a quick and easy, super glue fix. You may or may not have noticed that I’ve left the bicep armor on in all the shots. That’s because it’s an absolute bear to remove and even more so of one to put back on! But do not despair, Threezero is very aware of the issue and in fact included a warning in the instructional printouts literally saying that the bicep armor pieces are currently difficult to remove and will be improved before release. Rest easy. 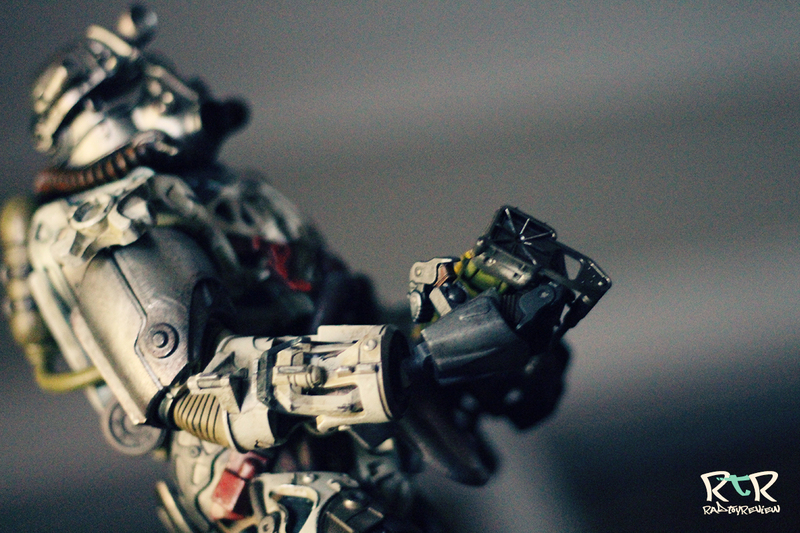 As usual, ThreeZero packed in some slick lighting effects to play with. 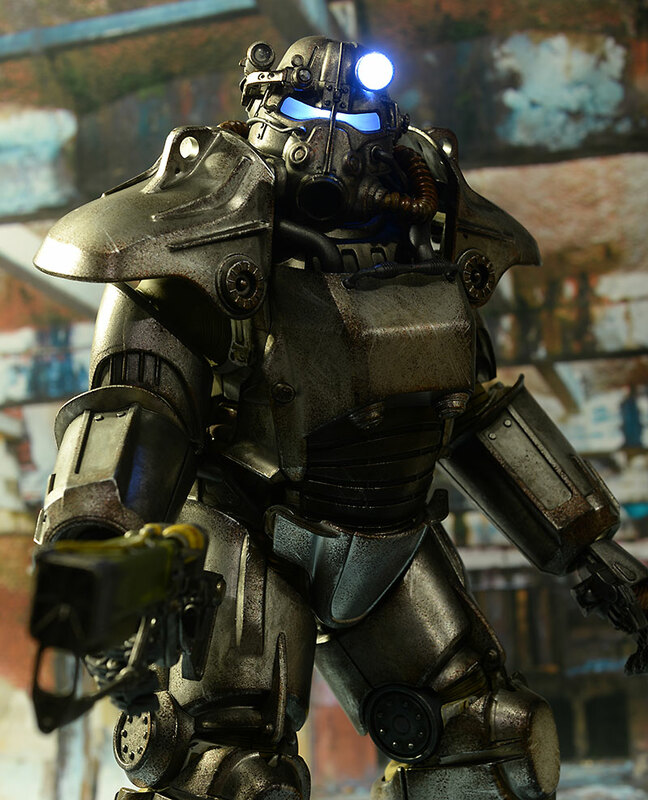 They kept it pretty simple this time around and outfitted just the helmet with lights for the spotlight and eyes. 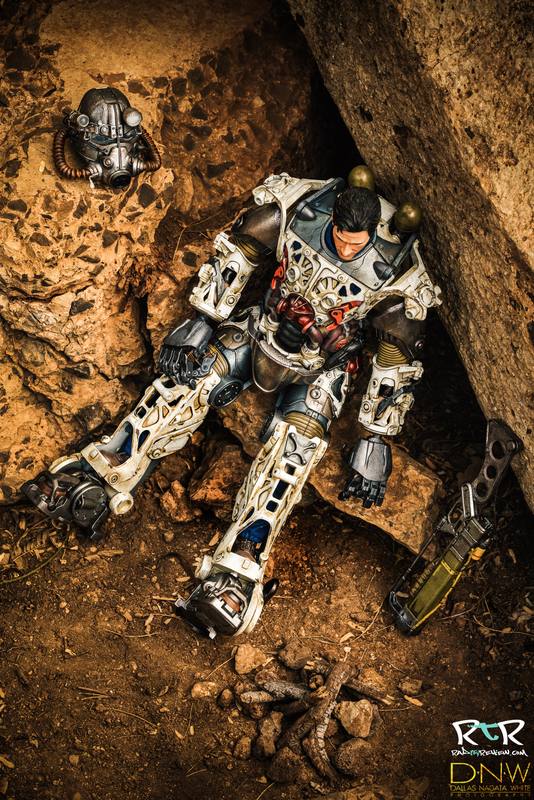 You’ll need a small screwdriver and three of those weird, tiny batteries that they’ve used on just about every single figure they’ve released. Once in, just push the little button on the side of the helmet and wallah! A nice bright white light. Soooo, here’s the thing… as Dallas and I spent all day (keyword “DAY“) shooting this guy outside, there were a few times where we attempted to use his lights to get a little glow inside of the pipes and some shadowed areas.. hoping maybe something interesting would come through. It did not. The sun proved too bright, and the difference between on and off was basically undetectable to both camera and eye. When I got home that evening I realized I’d accidentally left the lights in the on position and drained the only weird, tiny batteries I had for the figure. Sooo, in light of that (pun only sorta unintended), I can’t show you what the light features actually look like. Thusly, here’s a link to fellow toy reviewer Michael Crawford’s site, where he’s also recently reviewed the figure. He got a couple of good shots with the lights on that should give you a solid idea what to expect. Go on, it’s OK, he’s good people… go check out his site if you haven’t already.. I won’t get too upset… I’ll just wait here for you to come back. Ok, now that those guys are gone… those of you still with me, we are moving on! SO LONG SUCKERS! We wait for no man! The number of accessories is pretty darn minimum for this guy. You get the laser rifle, which is a standard, stripped down version with no mods attached. 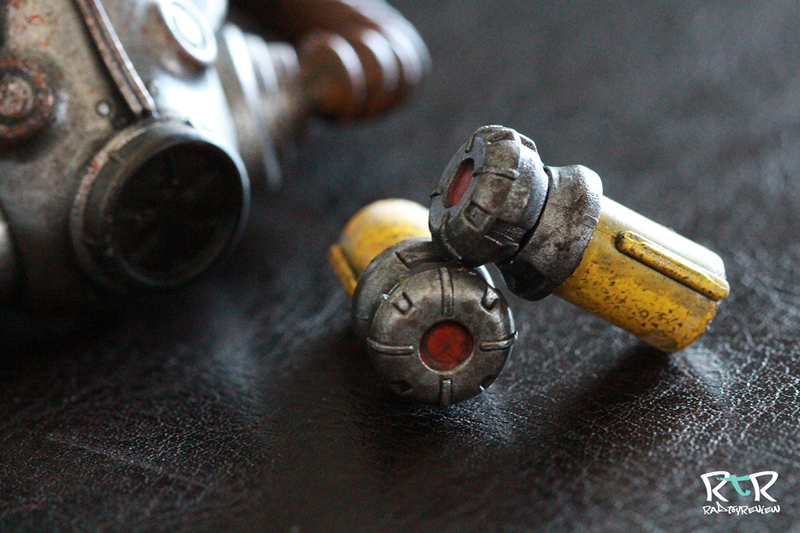 You get a couple of neat little fusion cells to plug into the back of the armor. The wheel detail on the back where the cells plug in actually turns and “locks” them in place, while turning it further will eject the cell. 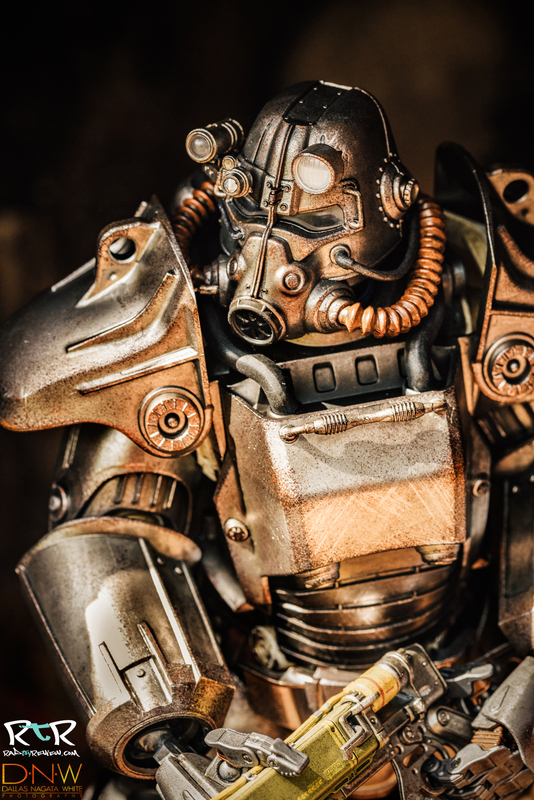 You also get a couple of swap-able oxygen tanks for his back when the armor is off… I’m not certain you’d call those accessories, but they are something else you’ll need to keep track of. Warning: The first time I put a fusion cell in I must have done it in a little wonky, semi-forceful way and I guess it really torqued the spring loader. When I went to eject it.. if FLEW across the room like a tiny yellow dart. I’m pretty sure it’s not meant to work that way… but it was awesome. So fusion cells and a locking mechanism… I mean, those are neat details… but not necessarily incredibly additive to the fun and adventure shenanigans of the character. I think a few more weapons to add to the stable would have been more appreciated/handy. OK, so here’s the part where I get down on one knee, put on my Friday Night Lights couch voice and get real with you for a minute. Discuss some TRUTH with you. 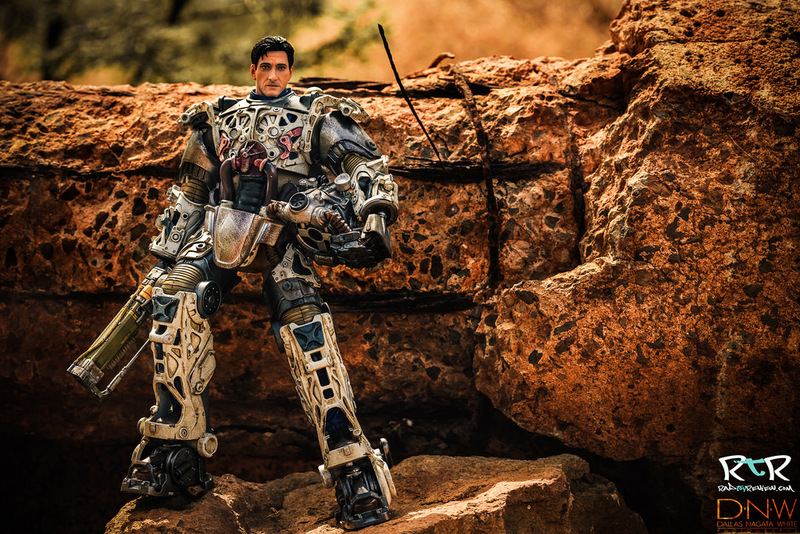 If you WANT this figure (and you probably do)… but think you might hold out for awhile, pick it up from retail or something sometime down the line. 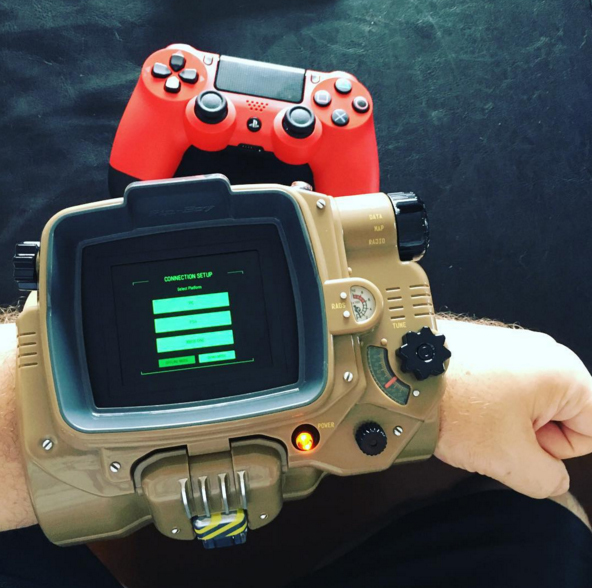 You NEED to get the exclusive version that comes with the mini-gun. 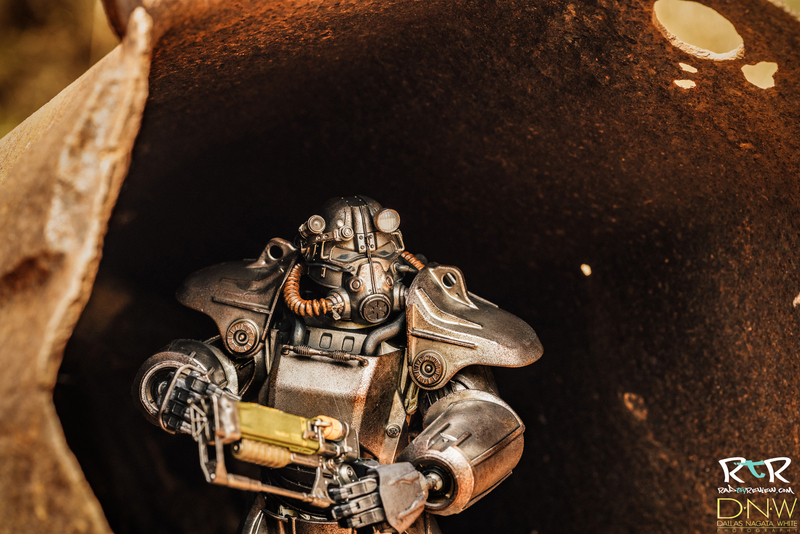 Believe me, the last thing you want to do is to doom your awesome new Fallout 4 figure to be stuck for an eternity in the wasteland with nothing but that standard issue, dingy laser rifle. It’s like a $15 difference.. but oh brother, what a difference that 15 will make. 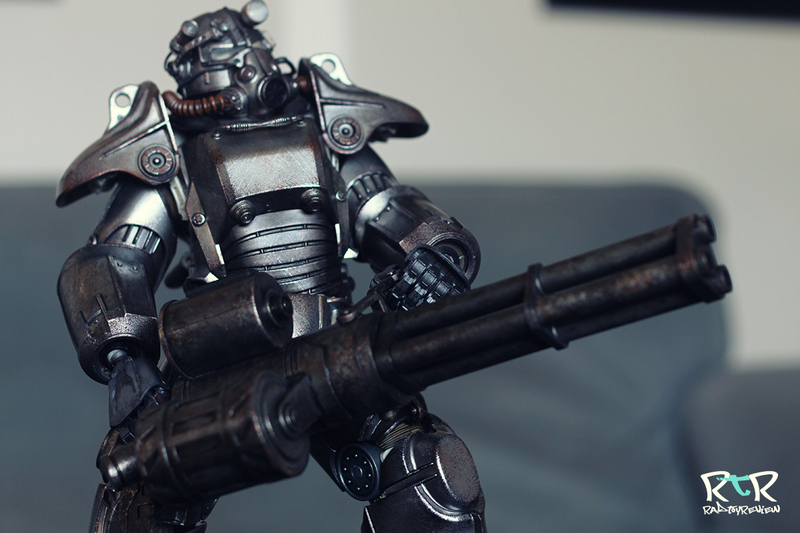 In the pics here, I’ve used my 3A Dirty Deeds minigun that will hopefully give you an idea of how much more radical he looks holding it. Saying it again, if you plan to buy this guy, you’re going to want to grab the exclusive version directly from ThreeZerostore.com. It’s on sale, right now, for a limited time at their shop. Go to there! That’s really my main whine about this release. Why the heck wouldn’t the minigun be standard? 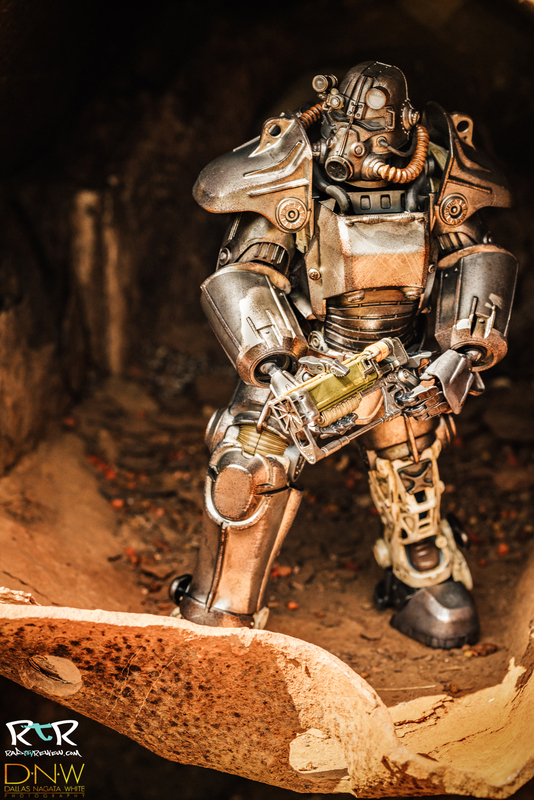 Despite what your weapon of choice is in-game, the minigun is the the peanut butter to the Power Armor’s jelly. It’s the rug that pulls the room together. I get Threezero wanting a carrot to dangle as their exclusive version, but I’d wished they’d come up with something else. Heck, they could have made the laser gun the exclusive. 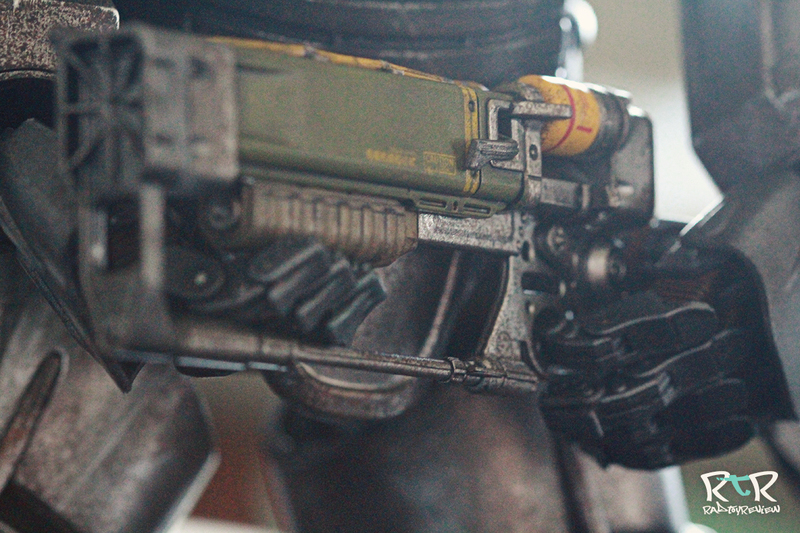 It’s cool enough… not minigun cool… but you know, freebie cool. To sum it all up… I love this figure. 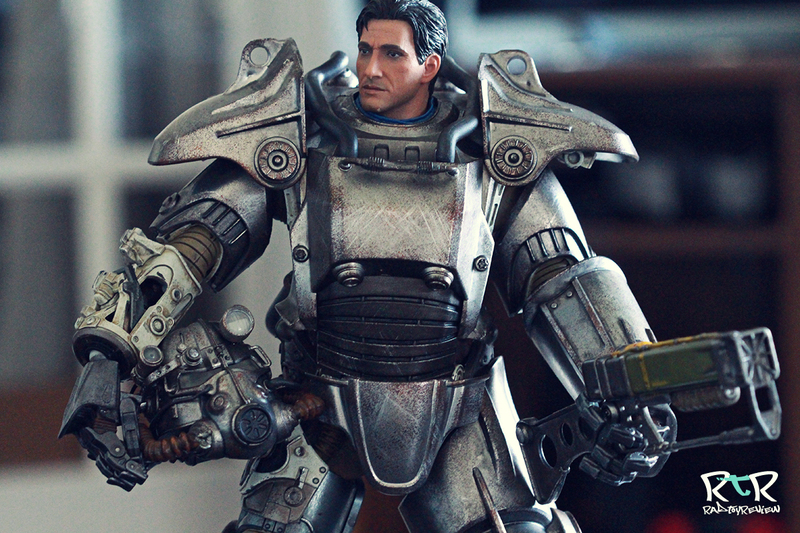 I mean, I’m assuming you’re reading this stuff because you’re into toys and at least somewhat of a Fallout fan. Two key traits that when blended together at a moderate pace result in you needing to get this figure. 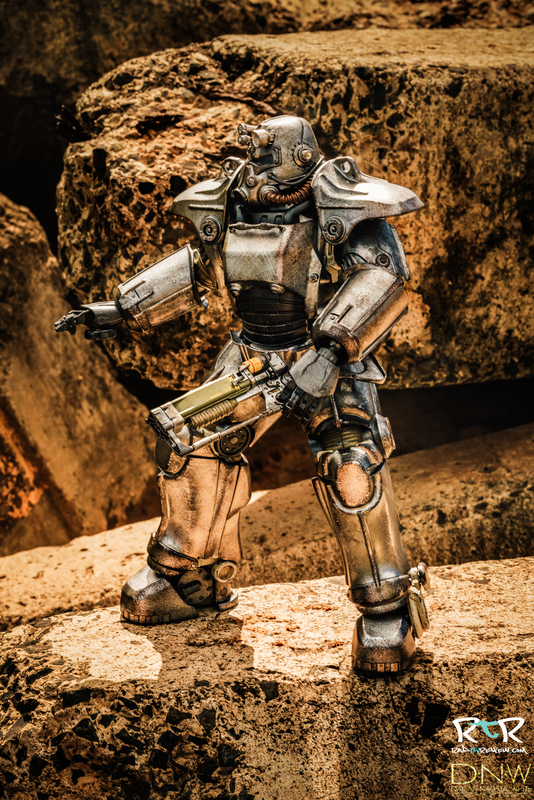 It comes down to this, if you love Fallout 4… love toys and love not having all your money, you need to go this moment and buy the exclusive version direct from ThreeZerostore.com and lock it (and the minigun) down! Plus, hey.. free shipping. It’s simple math and algebra, baby.. it’s malthgebra. One more little thing to note. ThreeZero has strongly hinted at several other armor sets in the future, meaning that hopefully you’ll be able to buy just the updated armor bits and swap them out on your existing character for a fraction of the cost. They actually teased a 2nd armor awhile ago, the T-60. I’m definitely in for an X-01! 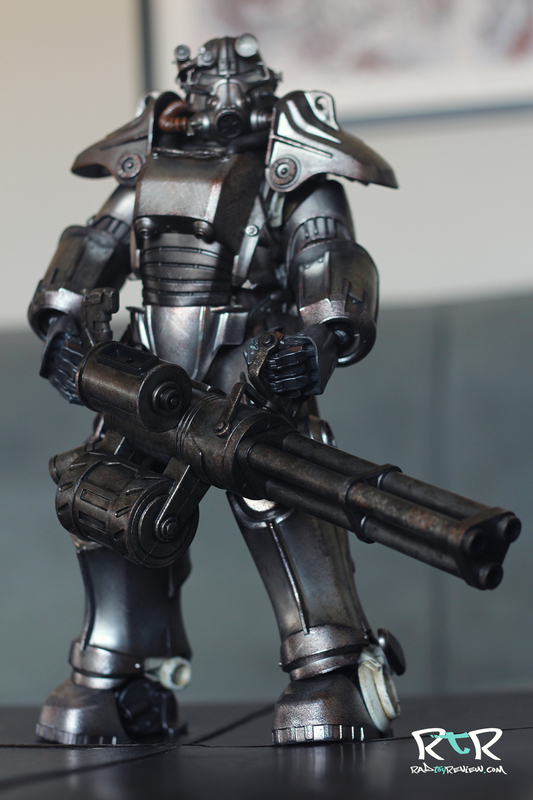 Threezero has done it again. 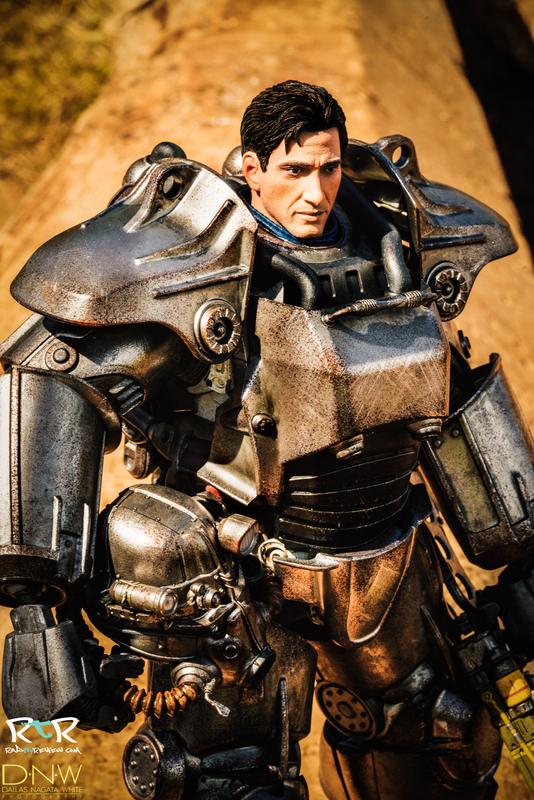 They’ve made another fantastically engineered, painted and detailed pop culture collectible and I have no doubt in my mind, fans of the franchise will absolutely love! This figure IS awesome. The End. – Super accurate and highly detailed. Dead-on likeness to subject matter. Thanks to Kim, Cody and everyone at ThreeZero for sending us this sample to review.. you made this toy collector very happy! Big thanks to Dallas Nagata White for lending her skillz on a particularly hot and dusty day to take some great shots with me! Follow her on her various Instagram pages (this one too) and check out her website for a lot more of her photography, cosplay and artwork! Once again, thanks to all you readers out there without whom we would not be! If you’re not already, stay up to date! Follow us on Instagram, Facebook, YouTube and Twitter for all the latest from Rad Toy Review!